Rochester park officials are moving forward with plans to bring an inflatable water park to Foster Arend this summer. This week the Rochester Park Board reviewed a proposal from Commercial Recreation Specialists to set up the attraction along the park's beach area. 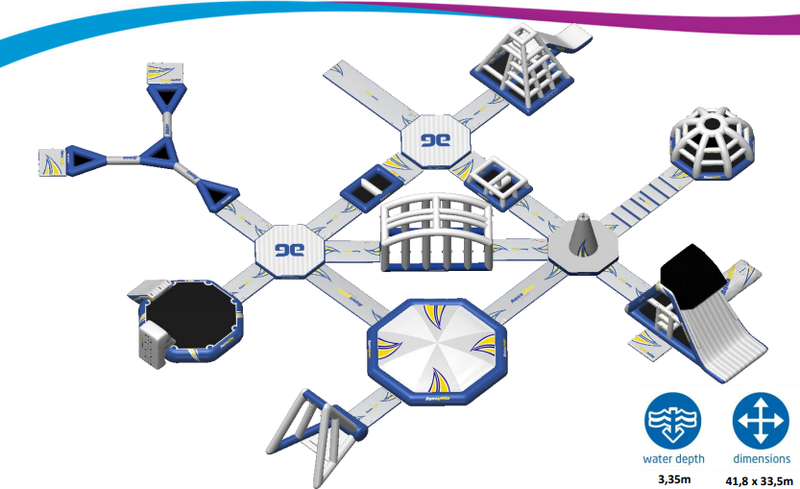 The aquatic playground would include multiple routes and activity zones for kids and families to splash around in the water this swimming season. Park board members were supportive of the idea, but asked for additional clarification regarding the overnight security of the park. Officials from Rochester Parks and Recreation are now working with the vendor to get a lease drafted with the security provisions requested. The board is expected to vote on the proposal at its next meeting in May. Mike Nigbur, head of the department's parks and forestry division, said the idea for an aquatic park came about through community engagement efforts. When they determined costs were too high for a large-scale water park, park officials began looking for less-expensive alternatives. "We believe this type of activity helps provide the unique aquatic features that some community members have desired," Nigbur told the board. "Utilizing this partnership approach adds value without financial risk by the city." Under the agreement, the vendor would pay the city $1,500 to operate for the season, plus an additional $600 fee so it can rent out paddle boards and kayaks (to be used outside the swimming area). The cost to use the water park would likely be $15 for one hour and $20 for two hours. All-day passes are also being considered. If proven successful, Nigbur said the aquatic park could be included as a feature for Cascade Lake once the mining is complete. The parks department, in partnership with Public Works and Olmsted County Public Health, also plans to prototype a bicycle playground this summer in the former tennis courts at Silver Lake Park. 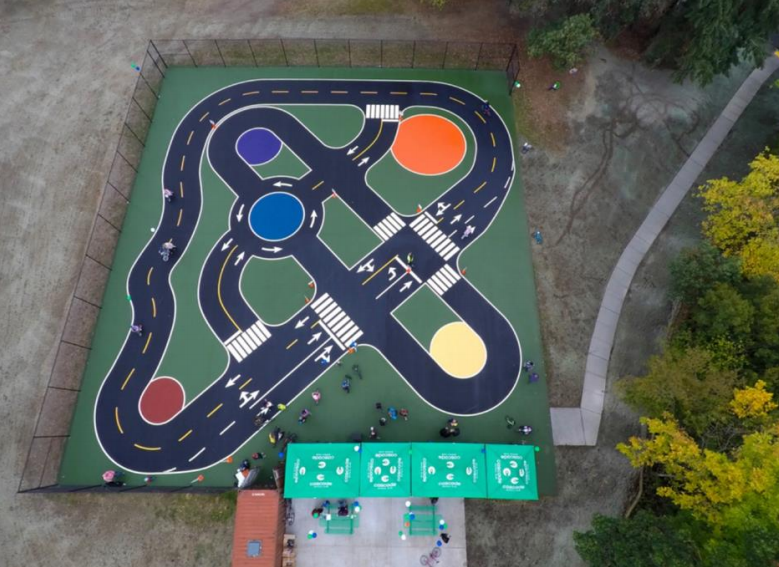 The bicycle playground — also known as a traffic garden — will provide parents and cycling instructors a safe place to teach children and adults the basics of riding a bike. Nigbur said the goal is to have installation ready for May, depending on the weather. If the model works, officials may consider finding a permanent home for the concept.